Posted August 16, 2018 by Cultbox News & filed under Headlines, News. Further to the stack of Doctor Who series 11 merchandise that was unveiled ahead of San Diego Comic-Con earlier this year, another Funko Pop! 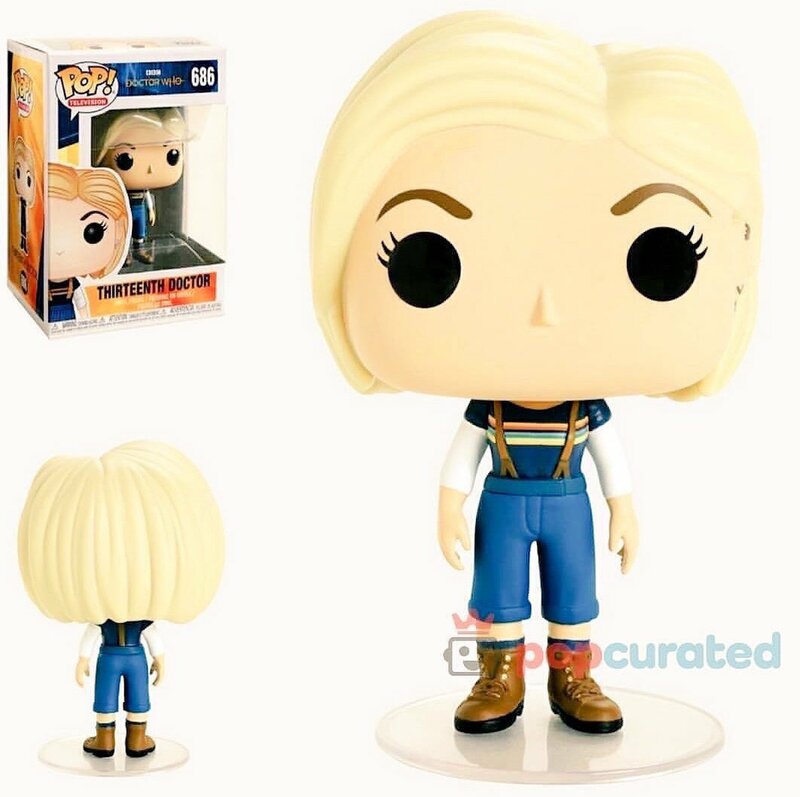 Vinyl figure based on Jodie Whittaker’s Thirteenth Doctor has been announced. With her big coat out of the picture, we can see that the Thirteen Doctor sports some sort of white, long-sleeved undershirt beneath her already-iconic rainbow T-shirt. Layering up, of course, is a great way to keep warm when you visit an icy planet. Doctor Who series 11 is expected to debut on our screens “by October“, according to a recent report from the Radio Times. We also know that Whittaker will star in a Doctor Who Children In Need sketch and a Doctor Who Christmas special before the year is up. As more news on all of that stuff materialises, we’ll be sure to keep you in the loop.